” No one has seen God at any time. The only begotten Son, who is in the bosom of the Father, He has declared Him” ( John 1:18). Moses longed to see the glory of God, after his friend to friend conversation with God, but he did not see the Lord face to face, which made him explicitly ask to see the face of the Almighty ” And he said, “Please, show me Your glory.” Then He said, “I will make all My goodness pass before you, and I will proclaim the name of the Lord before you. I will be gracious to whom I will be gracious, and I will have compassion on whom I will have compassion.” But He said, “You cannot see My face; for no man shall see Me, and live.” ( Exodus 33:18-20). Although God the Father loves the whole world and its salvation, man has not been able after his fall to accept this supreme divine love” For God so loved the world that He gave His only begotten Son, that whoever believes in Him should not perish but have everlasting life” ( John 3:16). 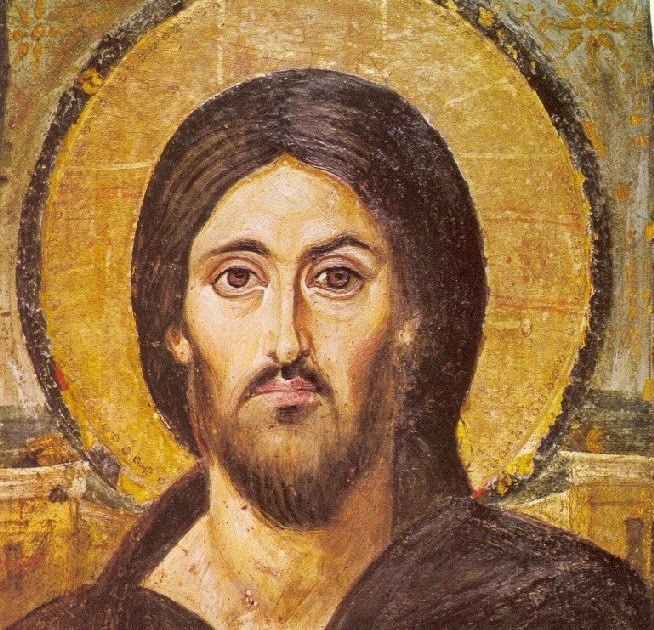 It was the wonderful work of the Son that showed us this wondrous paternal love by taking the form of a man, to be incarnate for all mankind, including those who are oppressed ( slaves), to see in Him a companion, partner, lover, and savior, proclaiming the love of the Father to all- whoever accepts and believes. Thus, through His only begotten Son, God was able to fulﬁll not only to Moses but to all humanity the wish to see His face and glory. This, the Lord Jesus announced to Philip when he asked what Moses had asked for” Philip said to Him, “Lord, show us the Father, and it is sufﬁcient for us.” Jesus said to him, “Have I been with you so long, and yet you have not known Me, Philip? He who has seen Me has seen the Father; so how can you say, ‘Show us the Father’? ( John 14:8-9). The Holy Spirit said clearly through Saint John the Evangelist” that which we have seen and heard we declare to you, that you also may have fellowship with us; and truly our fellowship is with the Father and with His Son Jesus Christ” ( 1 John 1:3). Look at Christ’s thought, the only Begotten Son , who became man and depleted Himself from all the heavenly glory in order for us to taste through Him, the Fatherhood, love, affection and personal interest of the Father in each and everyone of us” O righteous Father! The world has not known You, but I have known You; and these have known that You sent Me. And I have declared to them Your name, and will declare it, that the love with which You loved Me may be in them, and I in them.” ( John 17:25-26). The name of the Father bears all paternal affection , giving, protection and satisfaction” Behold what manner of love the Father has bestowed on us, that we should be called children of God! Therefore the world does not know us,[b] because it did not know Him” ( 1 John 3:1). If we were the children of God, and Christ was able to show us how much the Father loves us and the extent of His personal love For us that He died for our salvation, how then after all this that we fear anything or doubt the love of God for us and His pleasure to give us the Kingdom of heaven?! ” He who did not spare His own Son, but delivered Him up for us all, how shall He not with Him also freely give us all things? ( Romans 8:32). The thought of Christ, my beloved, that he offers Himself to death for us, to obey the love of the Father for all of us, so that if we believe and accept this love, we shall be saved by Him and we shall be accepted by the Father without shame or fear” according to the eternal purpose which He accomplished in Christ Jesus our Lord, in whom we have boldness and access with conﬁdence through faith in Him” ( Ephesians 3:11-12). And also, ” Therefore, brethren, having boldness to enter the Holiest by the blood of Jesus, by a new and living way which He consecrated for us, through the veil, that is, His ﬂesh, and having a High Priest over the house of God, let us draw near with a true heart in full assurance of faith, having our hearts sprinkled from an evil conscience and our bodies washed with pure water” ( Hebrews 10:19-22). The Son’s thought towards us is a practical translation is the love of the Father. He obeyed His Father and gave up Himself and took the form of a slave and became in the likeness of people, resembling us in everything except sin alone. He was born in a manger to share those who were born and cast in the streets homeless and poor, He who is rich and can satisfy every living being from His riches. Sharing with His love the poor in their poverty. He had no where to put His head. And with His divine power that never separated from Him, He walked healing every disease and weakness in us. In Proverbs He proclaims ” Rejoicing in His inhabited world, And my delight was with the sons of men” ( Proverbs 8:31). Obeying the Father without hesitation until death” And being found in appearance as a man, He humbled Himself and became obedient to the point of death, even the death of the cross” ( Philippians 2:8). He did that out of happiness for our salvation and our return to the Father on earth and in heaven” looking unto Jesus, the author and ﬁnisher of our faith, who for the joy that was set before Him endured the cross, despising the shame, and has sat down at the right hand of the throne of God” ( Hebrews 12:2). The Love of Christ for us is above all knowledge. For He not only shed His blood to save us and wash us and whiten our clothes that we might enter conﬁdently into the holies , but He also gave us His name, for He is Christ and we became ” Christians” as mentioned in the Book of Acts ” the disciples were called Christians” in Antioch. And because He is the Head of faith, we became believers” For we who have believed do enter that rest ” ( Hebrews 4:3). But more than that, He became in us and us in Him” For we are members of His body, of His ﬂesh and of His bones” ( Ephesians 5:30). Always being fulﬁlled during the sacrament of the Holy Communion” He who eats My ﬂesh and drinks My blood abides in Me, and I in him” ( John 6:56). Then, how great what Christ had revealed to us in His prayer to the Father ” I in them, and You in Me; that they may be made perfect in one, and that the world may know that You have sent Me, and have loved them as You have loved Me” ( John17:23). Beloved of the Lord, it is very hard to comprehend the range of Christ’s love, care, protection, salvation and riches that He offers to us free of charge. Only asking us to accept Him in our lives and hearts, so He might dine with us and us with Him. We wear Him in Baptism, to cover us with the garment of righteousness, so be ware not to take the garment off and be naked in front of His Father and the heavenly. We will not be able to enter into the King’s wedding unless we have Christ, for He is truly the garment of the wedding that the Father will ask of us, otherwise He will reject us. How great is Your thought towards us, and his noble are Your feelings towards those whom your have created. Those who fell, and you came to save by coming into our world, through incarnation, death, resurrection, ascension and Your eternal union with us. Give us that we have your Divine thought, loving You as You have loved us, giving ourselves up as You have done to raise and revive us, clinging to You forever.